Simply answer the following question. If your answer is "Yes", please read on. 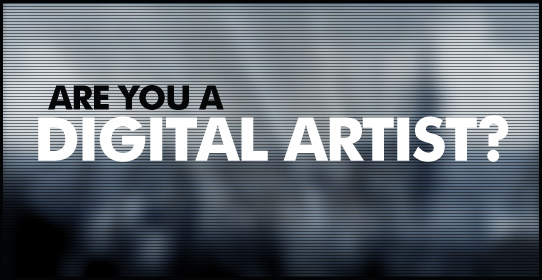 MTV is doing a casting call on all digital artists out there. Together with HP they're looking for all kinds of digital artists around the globe for their new series called the Engine Room. Go to the website and send your digital art. This can be anything: Animations, websites, short films, sound mixes, digital art, you name it. Just show that you're creative enough to enter the room. Remember: Your only limit is your own imagination. React fast: Casting ends June 30th. Personally, I really love this idea from MTV. Bringing several creative minds to one place to let them compete on a TV show is absolutely fascinating. I expect very innovative things to come out of this project. We are seeking digital artists (at least 18 years of age) from around the globe to compete in a series of creative challenges utilizing HP computers. Once selected, 16 people will be flown to New York City commencing on or about July 18, 2008 through on or about August 16, 2008 (collectively, the "Filming Dates"). They will compete in teams of 4 participants each for prizes by creating animations, websites, short films, sound mixes and more in the "Engine Room". We will cover incidental expenses (including flight and hotel) for those selected to participate in the "Engine Room" show. 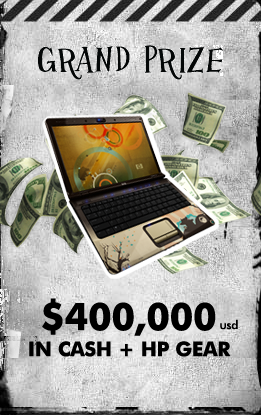 The winning team will get $400,000USD in cash and HP gear to be divided equally among the 4 teammates. "Engine Room" is a new MTV series which will be seen around the world. By entering the Casting Call, you will automatically be considered for the Weekly Audience Winner Contest in accordance with the Official Rules. So what are you waiting for? Hurry up and send your entry to the MTV Engine Room and maybe we'll meet each other there. Or say "Hi Marco!" to me when you make it into the series and I don't.